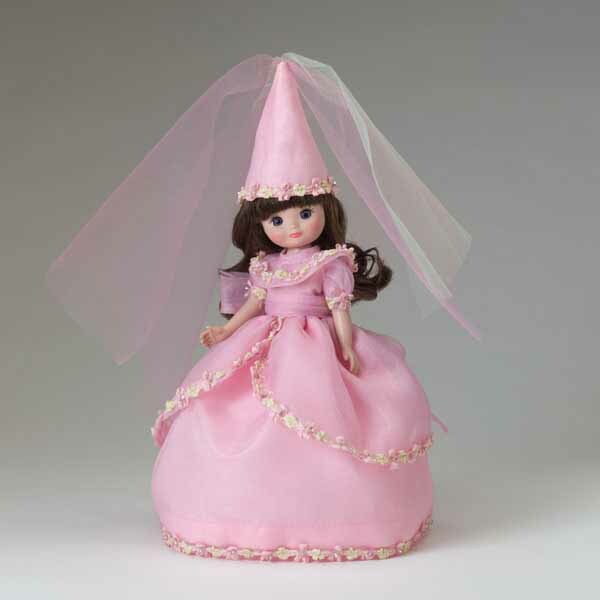 Home » Categories » Tiny Betsy McCall 8"
8" Betsy McCall® is an 8-inch, hard plastic doll with synthetic mohair wig and an extensive, fun wardrobe. Her sculpt is based on the original American Character sculpts...but the same molds are not used. Robert studied the original to better engineer away the flaws associated with the 1957 toy to create a collectible for the new millennium. Since the doll's debut in early 2000, collectors have been drawn very closely to the popularly priced collectible as an outstanding representation of the vintage Betsy, and as one of the finest and most unique examples of 8-inch hard plastic dolls today. Many of 8" Tiny Betsy's clothing are based on original Betsy McCall® paperdoll clothes; each with an all-American charm that celebrates over 50 years of Betsy! Pale Blonde - typically rare for Betsy, because a blonde Betsy is 'Barbara McCall', Betsy's look alike cousin! Brunette (or Brown) - the standard brunette is a classic brown.